If you would like a Ruby of another weight, please contact us directly by email, by phone, or by Live Chat. The colour is the first consideration when buying a ruby. The more intense and lively your red, the more rare and expensive it is. 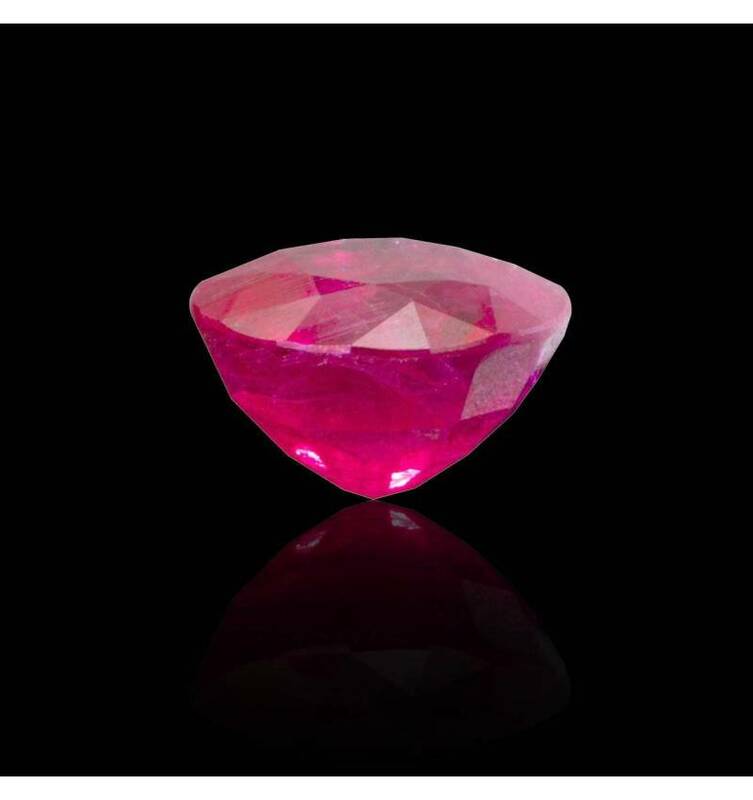 There are 3 grades of colour for rubies: Very Red, Moderately Red, and Pinkish Red. Most jewellers use a natural colour alteration technique by heating it. This is common and does not make the stone any more artificial because this is the same process that would happen in nature. Thus, Jaubalet mostly offers heated rubies. If you would like a ruby that is not heated, please contact us. Though you may always contact us if you would like a different size ruby. We have a large variety of rubies that respond to all of your needs.